Arnold Voketaitis Interviews with Bruce Duffie . . . . . . .
Arnold Voketaitis was born on May 11, 1930 in Connecticut. A bass-baritone of Lithuanian descent, he is a graduate of Quinnipiac University. Before his singing career, Voketaitis worked as a cars salesman, jazz trumpeter, and a radio announcer. He studied voice under Elda Ercole, Leila Edward and Kurt Saffir in New York City. Voketaitis began his singing career touring as soloist with the United States Army Band ("Pershing's Own") in 1956. With the Army Band, Voketaitis had the opportunity to perform for President Eisenhower at the White House. During the 1960s through the 1990s, he appeared as a guest artist at many important opera houses in North America, including the Houston Grand Opera, Milwaukee Opera Theatre, Opéra de Montréal, the Palacio de Bellas Artes, the Pittsburgh Opera, San Antonio Grand Opera Festival, and the Vancouver Opera among others. 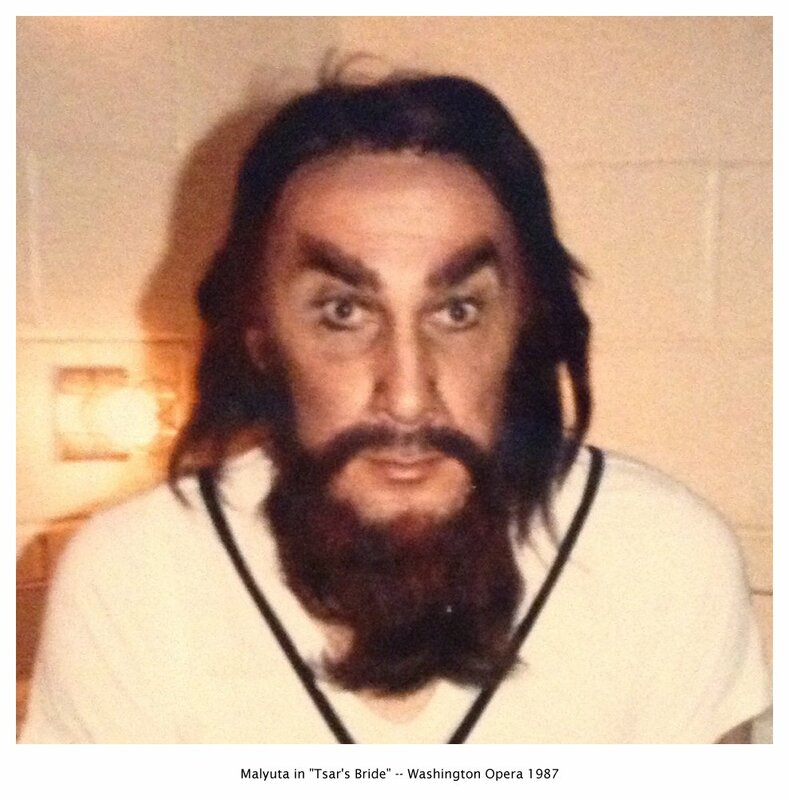 In 1964 he made his debut with the San Francisco Opera as Mephistophélès in Charles Gounod's Faust. In 1965 he sang Don Magnifico with the Metropolitan Opera National touring company. He sang regularly with the Lyric Opera of Chicago between 1968 and 1989, portraying such roles as Bonze (Le rossignol and Madama Butterfly), Zuniga, Loredano (I due Foscari), the Magistrate (Werther) and Mr. Ratcliffe for the American première of Billy Budd (1970). In 1980, at Mexico's Bellas Artes, he triumphed in the title role of Don Quichotte, repeating it in 1981 in Monterrey. 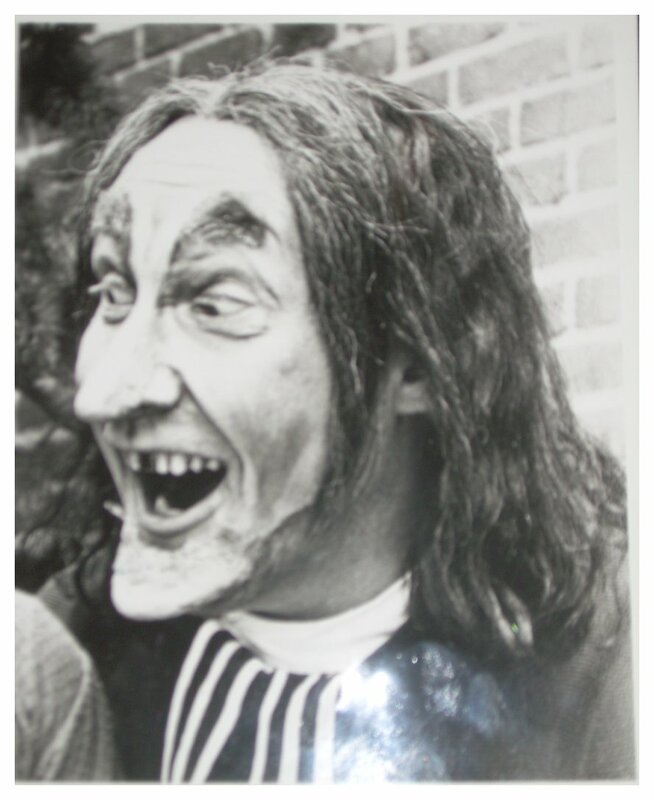 In 1976 Voketaitis portrayed Rev. John Hale in Robert Ward’s The Crucible with the Florentine Opera. 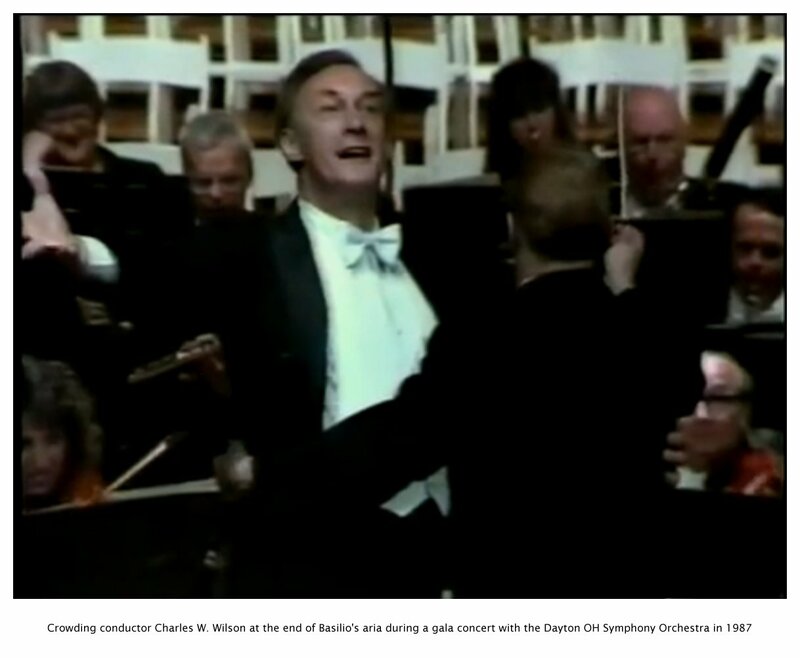 In 1989 he returned to Chicago as Abimelech in Camille Saint-Saëns's Samson et Dalila. The following year he sang Basilio in The Barber of Seville at the Miami Opera. He has also performed in concert the solo bass role in the Shostakovich 13th Symphony with the Chicago Symphony Orchestra (1979), Minnesota (1980) and Dallas (1985) Symphonies, as well as the solo bass in Beethoven's 9th Symphony with the Pittsburgh Symphony. Other appearances include performing with the New York Philharmonic, the Philadelphia Orchestra, the Cleveland Orchestra, Detroit Symphony Orchestra and the San Francisco Symphony among many others, under such conductors as Maxim Shostakovich, Leonard Bernstein, JoAnn Falletta, Leonard Slatkin, James Levine, Leopold Stokowski, and André Previn. Leonard Bernstein has said of Voketaitis, "From every point of view - vocal musicianship, intelligence, personal qualities - he is certainly a musical asset." Voketaitis's career has been mostly within North America. Aside from his many Mexico appearances, he has made a few other international appearances, including performing at the Liceu in Spain, the Teatro Nacional de Costa Rica, and the Teresa Carreño Cultural Complex in Venezuela. He has also made several recordings for television and CD, six of which have garnered Grammy Award nominations. He was notably awarded the Man of the Year Award from the Balzekas Museum of Lithuanian Culture, the Distinguished Alumni Medal from his alma mater (Quinnipiac University), as well as a Rockefeller Award. 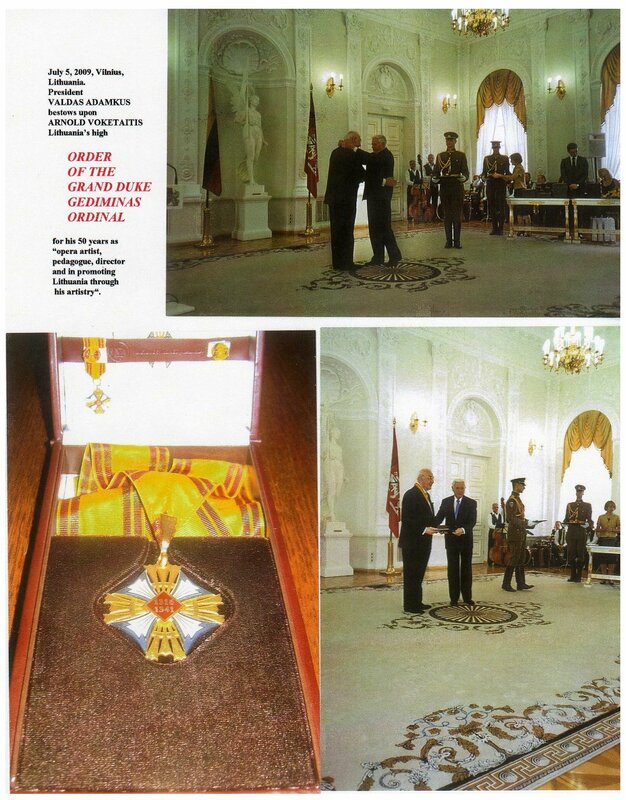 In 2009 he was awarded the Commander's Cross of the Order of the Lithuanian Grand Duke Gediminas, Lithuania's high cultural medal, in honour of his artistic achievement and support of Lithuanian culture. In academia, he was Visiting Scholar/Artist-in-Residence for Opera and Voice at Auburn University in Alabama, Director of Opera at DePaul University in Chicago, artist faculty at Brevard Music Center, and guest lecturer at Northwestern University. 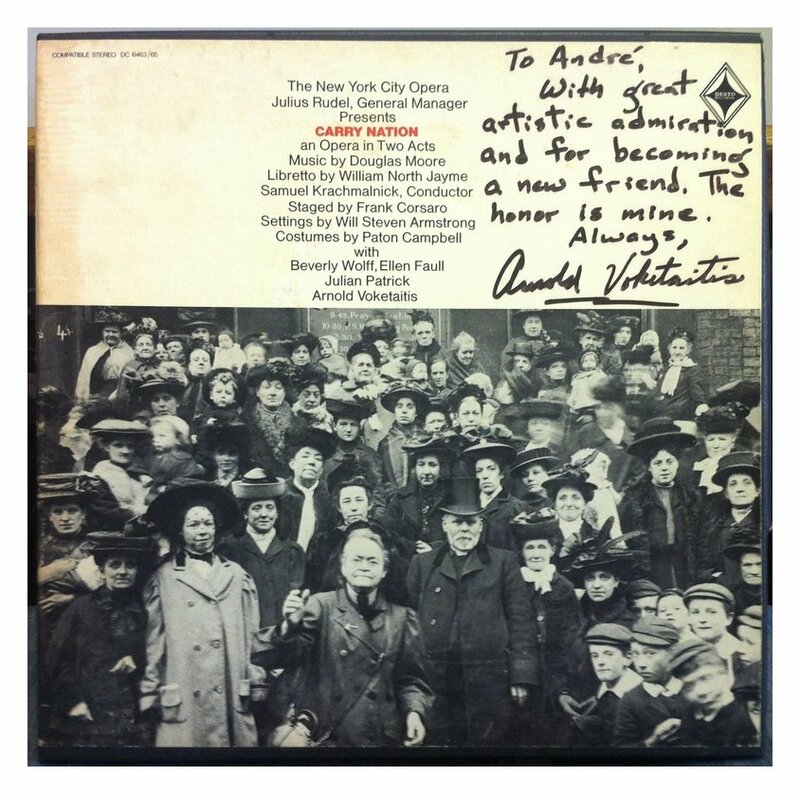 On this webpage are two conversations I was privileged to have with the distinguished bass-baritone Arnold Voketaitis. The first was held in February of 1986, and the second took place eleven years later, in May of 1997. The first one began with a preview of an upcoming concert that he and a Lithuanian soprano were giving which had arias, duets and chamber music of Haydn, Mozart, Rossini, Schubert, the Canadian Jean Coulthard, and Lithuania’s best-known composer Čiurlionis. As I was setting up to record our conversation, Voketaitis mused on his own radio career . . . . . . .
Arnold Voketaitis: When I was going to college back in 1954, I had my own radio show on WNHC, and it was at a period that the stations across the country were afraid for any name that was beyond two syllables. ‘Bruce Duffie’ would have been fine, but say ‘Voketaitis’ and people will go into shock. So I changed my name to Vaughan, Arnold Vaughan. I was making $90 a week at the Pearly Wake Up Show from 5 to 7. That was rather the big money, and I put the program together. It would be Yawn with Vaughan! [Both have a huge laugh] Spike Jones was big back then, and now nostalgia is bigger than ever. I remember I’d say, [in a very funny sleepy acting voice] “Good Morning everyone! It’s another day!” [Big yawn] Come on! Get that leg out of bed! [Big sigh] Now that wasn’t difficult, was it? Now get the other one! [Sighs again] Okay, you’re about ready to go! This will wake you up!” Then I’d play a Sousa march. [Both laugh] But I’ve always loved radio. Bruce Duffie: How can you convince singers not to destroy their voices? AV: It’s very hard. Singers in this day and age have lost patience. They want ‘it’, and I underline ‘it’ as success or achievement immediately. They don’t want to pay their dues, so when they get an opportunity, and if they’re misguided, they’ll do inaccurate things. They’ll sing parts that are too heavy. BD: Is it not the manager’s fault for asking them to sing something if they know is wrong? AV: At the beginning of my career I was reading what a prominent impresario had to say. This particular impresario was of Germanic persuasion, and I won’t mention his name, but he stated that singers are like cattle. They can be replaced. They use them, and exploiting them is a good thing. In truth, you have to have a lot of self-control, personal control and be willing to take your time. BD: How difficult is it to say no? AV: It’s very, very difficult. In my particular case I had to make a living in this business, and one had to do literally everything from book shows to high holidays, to musical reviews to operetta to musical comedy. When you’re at the height of your vocal abilities, that’s when you have to have control. My first teacher was Giacinto Marcosano. I revered the man. He was friend of Ezio Pinza, and they were cyclists together in Italy. I like to think of it in two parts. Pinza said, “Remember, Arnoldo, remember that singing is ninety per cent the heart and ten per cent ‘la voce’.” Then in the confines of the studio Marcosano would say one word, “Bright. Bright, bright, brillante, sempre brillante, always bright, Arnold! Forget about ‘cupo’, the darkness, covering.” Young artists listen to too many records. They want to accelerate the development of their voice, so they start distorting it and that’s where problems set in. Yes, it’s hard to say no when you think about getting applause. Think of Verdi singers, especially Verdi sopranos. How many Verdian sopranos have had truly extensive careers? Not many. People psychologically say Wagner is the destructive musical force because you always have to drive. There’s a lot of destructiveness within Verdi but it’s hidden within a melody. There are so many cases where there the bass has to sing at the top of the baritone register. The mezzo soprano, Eboli, has to sing almost as high as Elisabetta. The person who is always safe is the baritone because Giuseppe Verdi was a baritone. He would sit at the piano and he would sing all the baritone parts and say, [In an Italian accent] “Yes, that’s right. That’s good. That feels good.” So the baritone would never have to worry, but Verdi put a lot of demands on the voice itself. That’s why there are very few Verdian singers this day — baritones as well, and sopranos. BD: I remember reading that he was known in his day as a voice wrecker! AV: Yes, right, and it took its toll. So getting back to what my teacher said, if you keep a voice bright you will allow yourself to sing any type of music because you have that facility. As soon as you put in that ‘cupo’, that darkening dimension in your voice, in many cases you cut down on flexibility, range. BD: Is it true that singers are trying to project too much to the house? They think they can’t be heard in the last rows, and so they force? AV: That’s a fallacy. If it sounds good to you, it will project. Take Lily Pons, that little, little adorable coloratura. She had a small voice but such projectiveness like a missile or like an arrow. He didn’t give that much advice, but Jussi Björling always said, “Don’t think of volume. Think of quality and brightness.” So what few students I do teach, I always try and instill that. Think of brightness. I’ve been singing professionally for twenty-eight years, but I’ve been singing approaching thirty-five years, and yes, nature takes its course. You lose a little here and you lose a little there; the stamina goes. That’s a natural occurrence, but as far as the voice itself, it’s still very healthy. BD: When you’re on stage, are you portraying a character or do you become the character? AV: That depends on what the character is. Some characters you can’t go beyond one dimension, so you’re limited. But it’s also the director you’re working with. I like to look at a character. In most cases the music develops the character for you. It’s there. You don’t have to delve so much into it. Historical figures, yes, it’s interesting to know what their character’s like, and try to utilize some of that. We were talking earlier about Don Quixote, or Don Quichotte, as Massenet would say. A great Cervantes character drawn in the greatest book ever written next to the Bible. Open it and you can find a world of information, a whole new world to delve in. Don Quixote was a character that Cervantes gave the individual every emotion possible that man has been given by a heavenly creator. It’s there for you. All you have to do is think it and do it. In the particular case of Don Quixote, I become the character. In many other cases, you just portray a character. You’ll have to know and feel your own personality. That has so much bearing on it. BD: Has Massenet captured the Cervantes character? AV: Well, the opera is actually based on the poem on Cervantes as seen by two Frenchmen. If one wants to approach that particular role the way Cervantes had it in mind, he should read the book. If he does not read the book, then he’s just going to have a surface interpretation, and it’s not going to convey the true character, this person with the great figure. In this particular case one should read the book, and after reading it he can approach the score with a more open mind. BD: You enjoy doing that role? AV: I love it, I love it. I think it’s one of the most gratifying experiences in my life. I performed it in Mexico, on the stage and for television there [shown in photo above]. Literally, there have been two or three experiences in my musical life where I said, “Now you can take me!” A great artist should keep going. You have to keep going on. You can’t just stop at one particular crossroad of your life and rest on that particular laurel. You always have to keep going forward, but when you capture an inward emotion and you’re blanketed by a lush sound of music and you’re holding onto an historical character, that you have everything going for you. It’s so fulfilling and it’s yours for the moment, and no one can take it away from you. It’s just wildly exhilarating, wildly exhilarating. There have been just a few wonderful cases in my lifetime... such as a performance of Bluebeard’s Castle at Carnegie Hall. That was exciting. It was an evening where the conductor had to be replaced and everyone was on their toes, and it’s that kind of experience that leaves you with a lot of fine memories. BD: Have you done any other Massenet? 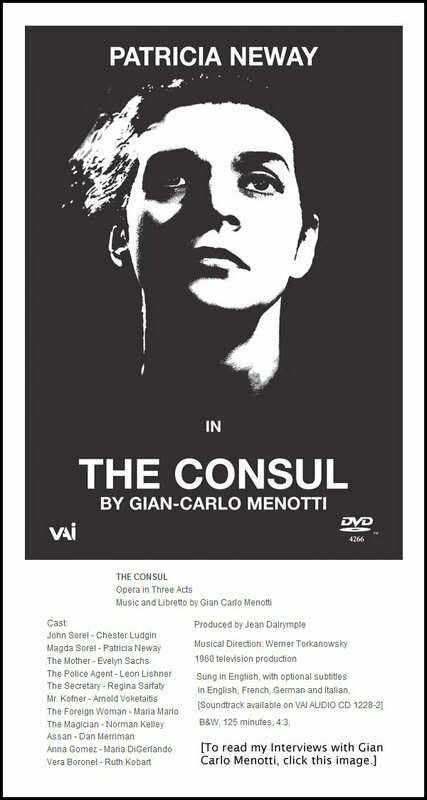 AV: Here at the Lyric Opera I’ve done Bailli in Werther, and the Papa [Le Comte] des Grieux, in Manon. BD: Tell me about Papa Grieux. AV: There’s a one-dimensional old man. You sing, “Son, you can’t go off with this girl,” and that’s it. BD: Besides Don Quichotte, was Massenet kind to basses? AV: Oh, he was kind to basses but as far as talking about great characters, I’m sure a soprano can find many levels in the part of Manon. I’ve had no reason to delve into the characterizations of her part. Werther is based on another great piece of literature of Goethe. Le Bailli, the bailiff, her father with innumerable children, is always protective. You just think in parental terms and you’ve got that part. So there are many approaches. Mephistopheles in the Gounod is a part I enjoy. You approach it, feel suave, and just take your own belief in an Almighty — if you believe in God — and just flip the coin. You think about how would I try to capture a soul? What would I do? What sort of tricks would I do? The key to Mephisto is the one word, where he says he’s a gentleman! So he’s a gentleman all the way through, except when he starts becoming maniacal in his Song to the Night. You see it in his face and his body deportment in the church where he feels the sense that he is secondary. He’s still small fry compared to God. You feel the inner character of Mephisto, the devilishness, and then his total loss at the end when he loses the possibility of gaining Margurite’s soul. BD: He doesn’t take any consolation in the fact that he does have Faust’s soul? AV: At the end, when she screams and she starts her ascent toward heaven as the sky brightens and the celestial steps come down, I always felt that Faust should say, “To hell with you, Mephisto,” and start going upward because the Lord will always forgive a person who is willing to make amends in the proper time. I’ve always felt that Mephisto was losing control of Faust at that time. This is in my own heart, and the only way he stops him is by waiving this contract that he signs earlier. He wants to yell out loud, “Faust!” But Faust is lost. It really is all there. There is no historical precedence outside of what is written. You have to play it the way you feel. BD: Today it seems that directors are interpolating things which are not there. You’re saying the singer should take what is there, but stage directors seems to be asking to do things which are not there, either in the music or the libretto. AV: I’ve never given it that much thought, but I guess what’s happening is that they don’t want to art form to stagnate. BD: Was there any danger that it was stagnating? AV: They’re doing it for just the habit of difference, because if there is no change in an art form, it’ll die! I think that way. Why do they keep packaging operas differently? If the music is going to sustain us, why do you have to put it in a $150,000 new set? They’re always looking for something different, and I’ll go along with it if the argument is valid. Put the piece in a different period. You made a reference to a Ring at the turn of the century. That’s all right. That’s all mystical. Why not? They had Faust in tails. Why not? I find it very hard to accept Rigoletto in the 1930s in Lower New York and a gangster dump, but why not! BD: Then where’s opera going today? AV: We won’t get onto the expenditure of producing opera. That is going out of sight, but the interest in opera is going up, up and up. There’s a greater interest in it. The key to where opera will go will be in how to finance it. The corporate dollar in many cases — especially in regional opera — is decreasing because the profit margins are less than they were many years ago. I know many Symphony Orchestras are cutting back on subscription concerts and cutting back on the utilization of soloists. It’s wonderful to have the growth of opera here in Chicago. It really is just taking off so well here, but where else was it going to go? It had a very limited season years ago, then it grew to eight weeks, then ten weeks, and it still has more to grow. It’s just that you have to infuse in the public that they can take opera for six or seven months, which would be terrific. The interest is going up, but the difficulty of acquiring financing is a strain on many boards. BD: You’ve done quite a number of American operas. Why are they not more well known? AV: It’s a matter of education. We go back to the lack of willingness to give American opera a chance. Most publics just bask in familiarity and familiar tunes. I would like to think that there is a place for American opera, primarily with the growth of the arts channels and with television. Number one, the composers are not getting commissions! They don’t have a Count or a Duke to support them as Mozart and so many others had along the way. If they can get a commission, I think their compositions would come out. BD: Is it a mistake on the part of the public to expect every new opera to be a masterpiece? AV: Ideally, yes. They would like that, of course, but as we all know, to produce opera it’s the most expensive theatrical production. The overhead is exorbitant, so people with the problem of finances are hesitant about mounting these obscure things. Look at Paradise Lost [world premiere at Lyric Opera of Chicago, November 29, 1978]. A Polish composer [Penderecki] and an English author [Fry, based on poem of Milton], so that’s not American opera, but it’s in the English tongue. BD: Do you believe in opera in translation? AV: I absolutely do, I absolutely do! In major cities like Chicago or New York, San Francisco, they should do it like in Seattle — have an international cast and a national cast. Two different price structures but do the work in English as well. Where the problem comes in is defining the poet to go a good translation, and then the responsibility of the artist to enunciate properly. They’re not taught how to sing in English. They don’t know how to break down a sentence structure to key on important words. Then there’s problem of the higher register, the soprano, the overtones. It’s very hard to enunciate up there. You can enunciate but it takes its toll on the voice. Many singers are afraid to really hang on the consonant, but there are tricks to it if they know which words to throw away and what vowels to hang on to and what letter to clip off. 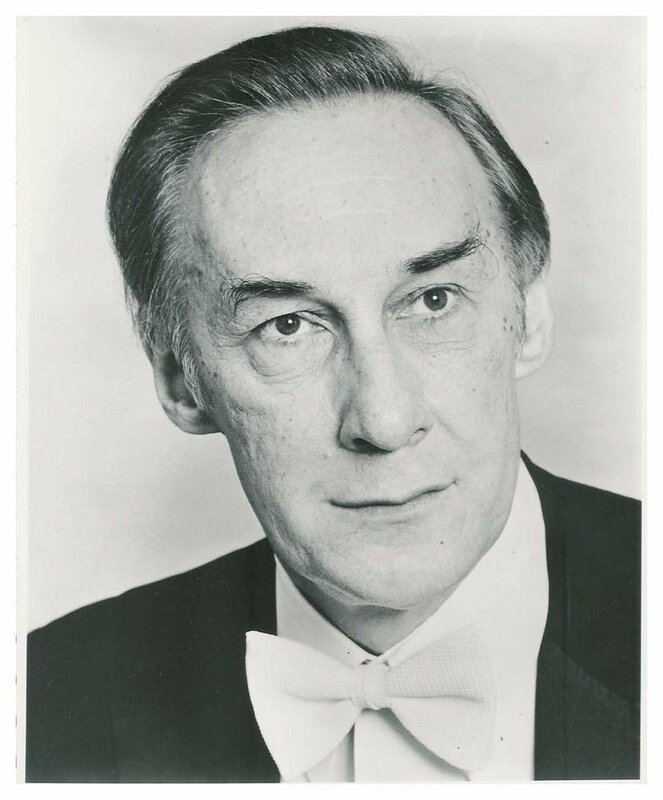 I learned my singing of English through Peter Herman Adler — who was Viennese — and head of the NBC television opera when NBC produced opera. He was very analytical. It’s like any language. When you’re singing it we can sit here in close proximity and you can understand every word. But as soon as we start putting distance between each other, we’re only going to be able pick out one or two words within a sentence, and the mind will fill in those other little inconsequential words. So that’s the way to approach it. You have to key on certain words, especially if you do patter music. There it’s the idea, it’s not the importance of each word. Like in The Barber of Seville, when Basilio sings, “A tremendous tempest raging, a tornado splitting shaking, like the day of judgment, breaking pandemonium everywhere,” you’re lost! [Photo as Basilio shown below.] Even when you open the score and start studying it, you see those words and you’re lost. There, the words are not as important as an attitude. You have to know when to insert attitude and when to bring your approach back to good diction. BD: So it’s really more understanding the piece as a whole, as an entirety? AV: Oh, sure, always, everything, absolutely! BD: You’ve been observing this for nearly thirty years. Are singers better today than they were thirty years ago? AV: They are just as good, but the competition is greater. When I said interest in opera has grown, it is from the public as well as the young singers who want to go into this profession. BD: Is there enough work for all the young singers? AV: No — for the young ones or the old ones! When I started there were fewer singers. Now there are a few more outlets, but even more singers. It’s amazing how the audience likes to lean on familiar works — Butterfly, Bohème, Don Giovanni, Tosca — but many times they don’t want to take a chance on listening to new singers. That’s why I feel there should be an international cast and a national cast in major houses. BD: But then ideally the real aficionado should go to both! AV: Yes, sure! [Both laugh] And in many cases they have found out that the national cast is better than the international cast. I’ve been involved in cases like that where I was involved in both sides, and overall the national cast was a better performance. Not a performer here or there, but an overall, and vice versa. The difficulty many times is that you put international artist from various schools of theatrical approach on stage, and then you’re really going to have a mishmash. And you have one ego trying to override another, and that’s where problems come up. Then you go back to pre-Belasco, the Stanislavski approach, where everybody is out for themselves. I’ve been involved in those too. BD: Let me ask you about operas written by Lithuanians. They’re very special to you, are they not? AV: There are not that many compositions, but there are a number of them. I met my wife doing a Lithuanian opera. I was a guest artist here to do an opera called Gražina by composer by the name of Jurgis Karnavičius, who was a roommate of Rimsky Korsakov when they studied together in Paris. As to why there are not more, we just have not had the individuals to write them. 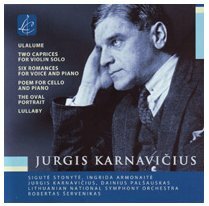 Jurgis Karnavičius (23 April 1884 – 22 December 1941) was a Lithuanian composer of classical music and a forerunner of the development of Lithuanian operatic works. Karnavičius' son, also named Jurgis Karnavičius (1912–2001), was a pianist and the long-time rector of the Lithuanian Academy of Music. His grandson, Jurgis Karnavičius (born 1957), is a concert pianist. Karnavičius was born in Kaunas, Lithuania, which at the time was a part of the Russian Empire. After completing his basic education in his homeland, he began the study of Law in St. Petersburg, Russia. Music had always been his first love, and he began to simultaneously study music theory and composition, and this passion soon superseded his pursuit of a career in the legal profession. His primary instrument was the viola. Eventually he became a professor at the Conservatory of Music in the now renamed city of Leningrad. During this period he began experimenting with his own theories of musical composition and began writing his own works. In 1927, Karnavičius returned to Lithuania, which had only regained its independence as a sovereign nation less than ten years earlier. In addition to teaching at the Conservatory of Music in Kaunas, he opted to play the viola with the orchestra of the State Opera for a number of years. 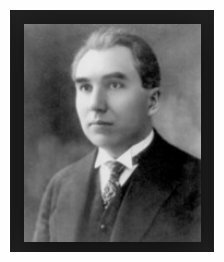 Having a personal desire write a new opera himself, and under the influence of the renewed national pride released by Lithuania's regaining its independence, Karnavičius began to write his first opera, Gražina, which premiered on February 16, 1933. It had incorporated more than forty melodies borrowed from Lithuanian folk songs, and was a popularly acclaimed success. It is considered among the first of the "Lithuanian National Operas." This was followed in 1937 by the opera Radvila Perkūnas, which was about the Lithuanian nobleman, Krzysztof Mikołaj Radziwiłł. BD: French operas sound French and American operas sound American by and large. Do Lithuanian operas sound Lithuanian? AV: The ones that I know do because they incorporate a lot of folk lore indigenous to the particular country. I can’t put my finger on it, but would you accept Oh Sole Mio in French? It’s very hard. There’s not that many Lithuanian operas that I’m familiar with. Aside from Gražina, there is Jūratė ir Kastytis. Jūratė ir Kastytis was composed in the last years of the composer's life, when he was almost destitute and suffering from Parkinson's disease. Based on the ancient Lithuanian legend of the love of a sea sprite for a mortal on the shores of the Baltic, this opera is related to musical settings of the Lorelei and Undine myths — myths which have much in common with that used as the basis for this opera. It is within this context that I will discuss what has become one of the most influential Lithuanian operas of the century. Although Kazimieras Viktoras Banaitis (1896-1963) composed in different styles and genres, he is now known principally for the composition of this opera. He began his musical studies at a private school of music in Kaunas, 1911-14. From 1922-28 he studied composition, piano, and musical pedagogy at the Conservatory of Leipzig, where he studied, among others, with the important German composer Sigfried Karg-Elert. 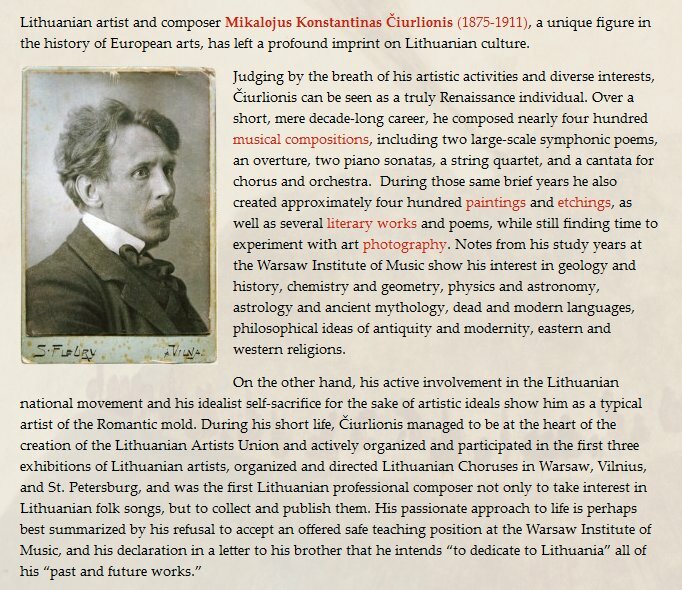 After his studies in Germany, he returned to Lithuania, where he was the director of the Kaunas Conservatory from 1937-44. Because of the Soviet occupation, he left for Germany in 1944 and then went to the United States in 1949, where he spent the rest of his life. He lived in Brooklyn, eking out a precarious existence giving private lessons and working at minor musical positions. His music received little attention during his lifetime, even from the large Lithuanian communities living in the United States. Banaitis was not a promoter of his works, preferring to think of composition as a pure task separate from practical affairs. In general, his music is rather conservative, with a clear emphasis on the folkloric. Modality, altered scales and chords — probably an influence from the Impressionists — and quintal harmonies prevail. He wrote a large number of choral arrangements of Lithuanian folk songs as well as chamber compositions. Jūratė ir Kastytis, the work Banaitis considered his masterpiece, is on a larger scale than his other compositions and more fully explores various contemporary devices. It was completed in 1955, though Banaitis spent the next five years refining it. In 1960 it was presented to a special committee who were charged with the publication and performance of this opera. It was premiered by the Lithuanian Opera Company of Chicago on April 29, 1972. In Lithuania they were doing all the traditional standard works in Lithuanian, beside an occasional original work. Opera in English I advocate because it’s an opening to an adventure. If the door is locked by the lack of not understanding the language, people will go away. BD: Have you worked with the supertitles in the theater? AV: I haven’t but I will next fall. BD: Have you seen them? AV: For some people, yes. I’m not in favor of them. BD: I would think this would be the ideal compromise. AV: But opera is a listening and viewing experience. It’s not a reading experience. That’s the way I view it. A person is delving on stage, working with all these emotions and you’re looking up to watch the bouncing ball. There are certain operas where I think they would work very well, but in these frivolous works with very, very unpretentious, uninvolved libretti, why? When you get subtitles, you’re going to get less and less American opera because if you’re going to utilize subtitles — and I’m told that the New York City Opera’s thinking of using subtitles for American opera — the American artist is going to get lazy and not learn to enunciate, how to work at projecting his own tongue. I’m not for it. I feel that art like that is a responsibility that the artist. It’s a two-way street. When you go to the symphony you’re only involved in one dimension, so you know you can close your eyes! BD: Just let the sound wash over you? AV: Yes, wash over you! I think that opera should be done in the language of the country, and then later insert the traditional format. BD: You enjoy singing though? AV: Yes. Sometimes it’s been a great joy, and sometimes it’s a curse. BD: Do you feel you’re a slave to the voice. AV: No, but it’s a curse sometimes to have that talent. Singing is, on the surface, very, very joyful, but I do not enjoy a lot of the peripheral things that go into it. There are a lot of individuals who are very hard to take — such as management and people you have to smile at — so from that side it becomes very complex. The favoritism that’s played in this business is unbelievable. BD: Are you bitter about your career and the way it has gone? AV: I’m not bitter, but I know what the circumstances are. I realize the management’s fault because I like to think everything I’ve done, I’ve done well, and there’s been success. There have been very, very few things I have done in my career that have been wrong for me. Maybe there were two roles that were wrong for me, and I did them because I had that open space and I did them. But management makes a career, absolutely. BD: Personal management or the opera house management? AV: Personal management. It’s the way they play the game. I’ve been affiliated with managers that are very honest to themselves, and they didn’t play ball in many cases. But I came up in the old school. My first manager was Italian, Sol Hurok's right hand man. I sang for all the Italian houses in America, like Philadelphia, and in Miami, where the company was founded by Arturo di Filippi, and the conductor was Emerson Buckley (from 1950-1983). 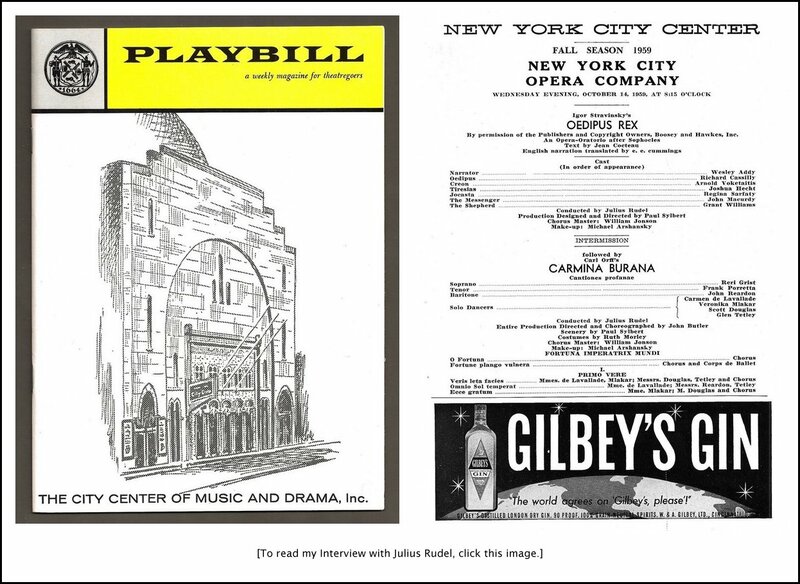 [The company began as the Opera Guild of Greater Miami, and was later the Greater Miami Opera and finally the Florida Grand Opera. Stewart Robertson was its Music Director from 1997-2010, and as of 2015 the future of the company is uncertain.] I also sang with Pandolfi in Hartford. [The Connecticut Opera was founded in 1942 by Frank Pandolfi, who served as General Manager for 32 years.] New Orleans had Maestro Renato Cellini [General Director 1954-64]. My second manager was Germanic, and I sang with all the Germanic conductors of that time such as William Steinberg, Erich Leinsdorf, etc. They were of a different generation, and I sang all with the conductors that came out of that same school that this manager came out of. They were all cronies together! But then the business took on a different light, and I won’t go into too many specifics about that. The business changed tremendously, and for many of the advanced artists, performers that had been around as long as I have, we’ve all seen that. I’ve been very fortunate to hang on to, to be part of the new wave, but the face of the business is changing. BD: For better or for worse, or is it just different? AV: [Sighs] I would have a different comment off the air than on the air, so I’ll just leave it at that. There was a time when managers would take their time with you. BD: Are we losing the tradition? AV: I don’t know what a tradition is. The word ‘tradition’ is a very sensitive one in many schools of the theater. I’ve had problems with directors. When something has worked very well for you — like The Barber of Seville — to prepare that opera with a person who’s doing it for the first or second time when you’ve gone through fifty different directors and 250 different audiences — not to forget all the rehearsals and dress rehearsals and so forth — you know what works and you know what works for you. Yes, you have to give and take with each director, but a lot of the successes come down through tradition. There are those who can do a gesture out of a traditional atmosphere and it would be successful, where a person who can’t do that gesture — though he’s doing a traditional move — it’s non-successful and can have an adverse effect. So when you know you can do a traditional move, it’s like the fact that they change the look of cars so often but the basic car is always there. The engine is always there to push the car. If you get a move or a behavioral pattern that has come out of tradition, you can take that tradition and grow on it. You can embellish it and even make it even better. Then the audience who sees it and is receptive of it can enjoy it, but there are directors who feel tradition is something of the past and they’ve got to on into a different direction. That’s all well and good, and I’ll buy that, but why not bring both together? There is a place for tradition, and tradition is very hard to define because you have to go piece by piece. BD: Are you saying improve on the one rather than discard it and start afresh? AV: Yes, that’s right. That’s a better way, or bring them together so it’s a happy marriage. You can find a place for tradition even though ‘tradition’ is a very hard word to define. BD: I assume there are good traditions and bad traditions? AV: Absolutely, and unfortunately it has been that good traditions can be performed badly so it distorts a good tradition. It’s wonderful to work with some Italian directors who have been brought up in that, who know the old and incorporate both. Then it’s a joy. BD: How do you divide your career between opera and concert? AV: I’ve been doing more and more orchestral work than opera lately, but then I return to opera in the fall in Washington doing The Tsar’s Bride [shown in photo below]. AV: Rimsky Korsakov, and Rostropovich will conduct, and his wife Galina will stage. I’ve got the score and I’ve got to start pecking away at it. BD: How many roles have you learned during your career? AV: It must be that I have performed and forgotten close to 185. Those are operatic roles. I’m talking from ‘C’ roles to major roles. I’ve learned a lot of music over a span of time. I’ve opened scores and I don’t know if I’ve done it, so generally I write inside the cover where I performed it and who I did do it with. I know I did do the Dvořák Stabat Mater and the Requiem, but a lot of times you open up a score and you know you’ve done it. It’s on tape but you can’t recall. There was a period that I would learn and I would forget. I learned Lucia in five days. The only way you can really hold onto anything is that slow sinking-in process, which there is a period when one had that luxury. My wife tells me I must learn such-and-such a role, but most singers do not function that way. We’ve got to be under contract or we’ve got to be motivated enough to put it into our repertoire. But it’s very hard to do it that way. BD: Is there any one role that’s been more satisfying for you to perform than all of the others? AV: Besides Don Quichotte, I really love the French school. BD: Have you done the Father in Louise? AV: I understudied the late Norman Treigle years ago in that part. I remember the first line which gets me very hungry. He says, “Is the soup ready?” [Both laugh] Louise is beautiful. For some reason, the French repertoire is very good for my voice. I’ve been doing so much Russian in the last four or five years, though. It’s amazing how some performers can take one specific direction and stay with it. Getting back to the adaptability, the ability to do many things and many, many languages, that is one of the glories of being an American, but it’s also the glory of having a mother and father born in Lithuania and hearing a foreign language, and such a good root language. Lithuanian is the oldest Indo-European language. It’s related to Sanskrit. It is a very good root language, and even though I make mistakes in the language, I can apply it to all the others. So it’s been a Godsend. A person coming out of Oklahoma or Tennessee or Texas with a great sound, it’s hard for them. They really have got to grind away. They’ve got to move to a particular country, live in a climate where they’re saturated in a different sound. Being brought up in an ethnic household helped, absolutely. BD: What other advice do you have for the young singer? BD: Do you really discourage people from going into singing now? AV: You’ve got to follow your own heart, your own motivation. The big advice that I can give a young singer is to have patience. I don’t mean to paraphrase a Russian term, but you need a five-year plan after you graduate from college, and having patience is primary. Have patience in your own natural development. Be careful, but also do everything. Get out there and perform as many things as you can within reason that are not injurious to the voice. One thing that I’ve learned over many years of singing is that acting is reacting. Acting is learning to listen, and that ability comes out of doing a variety of things. Don’t look down on musical comedy. Don’t look down on an industrial show. It will pay some bills, but it will also put you on the stage. You keep getting your feet wet and start paying your dues, and the body will tell you or the voice will tell you when to stop. But naturally, above all things, don’t over tax your gift. And, as some doctors say, get a second opinion, but always listen to your inner self. When you’re practicing by yourself and something tells you that this is not right for you, step away. There’s been a lot of canceling lately. I notice more and more singers canceling roles that they’ve accepted, and they’ve suddenly realized that they can’t do it. They’ve been signing contracts, and then as soon as they get with the coach, they realize it’s not for them. BD: It’s better that they cancel before signing on the dotted line! AV: Yes, that’s it. ‘Leb wohl!’ and he hangs up. [Both have a huge laugh] I am not a Wagnerian singer. Yes, I’ve done Hunding in concert performances. You really need a short, black bass, but you do things. Hunding is not going to hurt any bass, even a lyric. I did get to ask him who and where, and he said it would be with Eugene Ormandy and the Philadelphia Orchestra. So I approached a friend that has an extensive collection of recordings and listened to six, seven interpretations of it. What was going through my mind was the great Eugene Ormandy with a superb orchestra, and also the fact that Maestro Ormandy was not an operatic conductor, so I had to do for myself. But it was also to broadcast. I was going to sing this thing for over 300 stations, syndicated. Anyway, I finally said, “I’m not Wotan, but I can sing the piece in concert isolated, by itself. I’ll do the Wotan aria.” Now we’re talking about surprises. The contract comes in the mail stating Wotan’s Farewell and the two monologues of Hans Sachs! [Both laugh] I picked up the phone, and after I stopped trembling I asked, “Where did all that came from??? We negotiated for Wotan, but I’m not Hans Sachs. You have to have a great flexibility with the Germanic language. You have to play on the words.” So this was one concert I wound up not doing. BD: Thank you for being a singer. AV: That’s what my mother said to me at one time! It’s the way life takes its course. I went to school and played trumpet for fourteen years, then got a degree in business administration which I can’t recall. BD: That hasn’t helped you? AV: I can’t recall my accounting. My major, which was advertising, I still can do pretty well in basic layouts and ideas. Life puts you on a path and throws you in a different direction, and you’ve not done much to prepare yourself for. But this was very nice. You are a very good questioner. Yuri Temirkanov led the Philadelphia Orchestra in the final concert of the Mann Music Center's season last night with an aplomb that was roundly appreciated by a better-than-usual crowd at the open-air arena. Among the soloists, mezzo-soprano Claudine Carlson, last heard at the Academy of Music in Berlioz's Damnation of Faust, made a distinctive contribution with her potent and dark-hued voice. 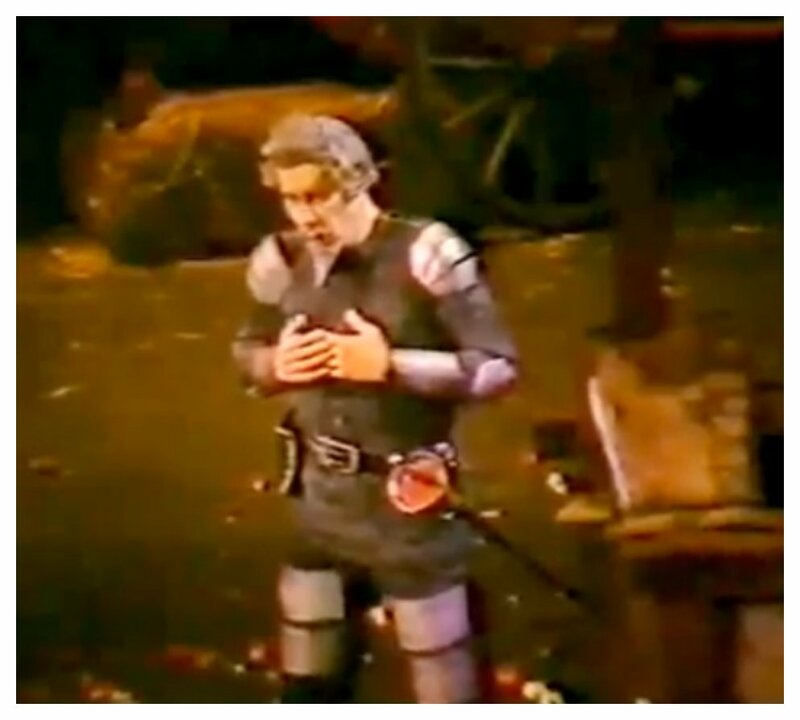 Bass-baritone Arnold Voketaitis (in the roles of Ivan, the simpleton and narrator) also held the attention remarkably well, particularly in the sung-speech of the English narration. Voketaitis, who according to program notes began his musical life as a trumpeter, has that instrument's sense of projection; further, he understands the spoken word's need for pauses, tension and tonal variety as well or better than many actors. We move ahead eleven years, and here is what was said in 1997 . . . . . . .
AV: We won’t talk about the cold though! I’ll try and be more resonant. BD: You don’t sound as if you’ve got a cold. AV: Oh, it’s right here [pointing]. It’s in the impingement area. BD: Because you’re so skilled and so understanding of the voice and how it’s produced and all of the cavities and resonances, does a cold bother you more than it would bother a guy holding a jack hammer or selling insurance? AV: This plague varies from artist to artist. Generally, at the first sign of a cold it sort of opens up the resonance, or the impinging area. In fact years ago, whenever Leonard Warren felt a cold coming on, he would call RCA Victor and say, “Come on, let’s record!” because he would be more resonant up there. But then it closes up. Colds vary from singer and singer, especially for the sopranos. There are those, and Beverly Sills was one, who could not talk but she could sing. That’s the thing of singing over a cold, but when you get the lower voices, it seems to have a greater affect. If it drops into the larynx and into the bronchia, we’re through. BD: I wonder, though, how much of it is your hearing it and how much really resonates to the audience that’s out there away from you? AV: As we all know, singing is a sensory art form. We work by feel, and if things are disturbed it’s like the gears of a car and it could have an adversarial effect for you. It’s a struggle. BD: So you have to overcome the feeling to get the same kind of sound? AV: You never do because you’re hearing it differently. If you’re having a cold, depending on where it is your resonators are inflamed. If it’s a head cold, it’s one thing. If it drops into the chest, you can’t resonate there. How often have you heard of singers giving up after the first act? I remember years ago at the Lyric Opera during Carol Fox’s reign, we were doing I due Foscari and I was doing the role of Jacopo Loredano. This was the American première, and at that time there were no covers. Carol didn’t believe in that, may she rest in peace! BD: She probably had very few calls for them. AV: That’s true but this was non-standard repertoire. You’re walking a very narrow line without protection, especially on these kinds of obscure, early Verdi roles. BD: That’s right. I suppose it’s easy enough to call someplace else and get a Butterfly. BD: So you did it anyway? AV: I did the role, but for the 3,250 people there, to this day they must think it’s a mute role! [Both laugh] The words are there in your mind and you’re formulating everything, but nothing is responding. You can imagine the pain one is suffering. You’re trying to hide behind a chorister somewhere. It’s a problem, and it varies from artist to artist. BD: Do you ever wish you could take the voice out and put it in a little case at night like a trumpet? AV: A lot of artists treat their voice in that particular way, and that is babying it. I remember years ago doing Otello with Mario del Monaco. He would always wear this very heavy hat and scarf in rehearsal. He would only lower it when he would sing, and then he would raise it. He was being very, very protective of the voice, trying to not breathe in dust from the rehearsal room. BD: Is that going overboard? AV: Yes, but each to his own. It’s just like alcohol. Alcohol is a drying agent. Now there are those who feel it gives the voice body — especially wine — but I know those who are drinking bourbon, a little rye and some vodka. It’s amazing, it really is amazing. BD: I wonder if they need that to still their nerves? AV: Alcohol always has a debilitating effect on me. One of the riotous things was to see Birgit Nilsson in San Francisco walking down the corridor, going stage right or stage left carrying a can of beer. She’d drink a beer and burp, and go on and sing beautifully! Every singer wants a particular taste in their mouth. It took me years to find my particular taste, and that was always warm water with honey. The kind of taste that Jon Vickers loved to have in his mouth was citrus. He would drink a lot of orange juice. Richard Tucker always wanted decaffeinated coffee! There is a girl in New York, Susanne Marsee, a mezzo-soprano who drinks Coca Cola by the gallon just to get that taste and that coating she requires to perform. BD: How much of this is really physical, and how much of this psychological? AV: Perhaps one had a sip and had great success after it, so it became a habit. BD: Why are singers so especially superstitious? AV: I don’t know... perhaps because it’s such a lonely art form. We’re always looking for help any way we can. The help will come from supportive comments or things like when Luciano Pavarotti sings they would put the bent nail on the floor. Just a superstition. Being of Lithuanian descent, I would always carry in my costume or on my body a piece of amber. Amber in folklore is the gold of Lithuania, but amber supposedly wards off any vocal diseases or illnesses. So there is a superstition that I personally carry. I know a male artist who would put a cross in each of his pockets. Approaching the stage is very hard. I don’t care what anybody says, you’re out there with no one to help you. So we’re looking for divine help, or superstitions to help, or whatever. BD: In the end is it worth it? AV: Oh, yes. It is if you so choose, if it’s in your heart and you want it. To get on the stage is not a matter of nervousness, it’s a matter of anxiety. Nervousness comes out being ill-prepared, or not being secure in what you’re going to do vocally. There is also the physical aspect for each singer, such as the saliva ducts in your mouth. Those who get very anxious sometimes get very, very dry. I’m one of those individuals. Then there are those, like Norman Treigle, who would get tense and his mouth would be pouring out like Niagara Falls! So he would take a little sip to quell that anxiety, that excessive moisture in his mouth. But getting back to your original question, of it all being worth it, anything you strive for is worthwhile. BD: You’ve made a study of the physical nature of the singing, and you’re about to come out with a book called Positioning the Classical Voice. Is this something just for singers, or should the general public that goes the opera perhaps read about this and learn what the singers have to go through? BD: Are they looking for a quick-fix or something long-term? AV: We all like a quick-fix because the advanced artist doesn’t want to start all over again. In some cases you have to if there are certain problems within the voice. If the voice is breaking you have to work on a stronger support aspect, but a lot of my book is derived from positioning and developing a core. It incorporates what I have observed while sharing the stage with many, many great artists. It shows the basic element that makes them successful, and what their technique has given as far as longevity is concerned. BD: Do you find any specific technique works in every great singer, or are there some great singers who don’t have it? And, conversely, are there some singers who have a good technique and don’t become great singers? AV: To be a great singer and to have great success depends on more than just singing. It’s opportunity, management, and what have you. My book is primarily based on my observations of what works well, and what has given great vocal longevity to artists. My perceptions are there, as well as the old Italian precepts that every teacher knows and talks about and conveys but somehow they’re losing it. Either they’re not communicating properly, or they don’t know how to listen, or they don’t know how to evaluate. What may be good in one arena or venue of education may be very, very high there, but in another school would be not accepted. So I would like to think of my book, working in conjunction with an experienced teacher, would be the cornerstone of developing a good technique. BD: So even for an experienced voice teacher, reading your book would help them communicate these ideas? AV: Absolutely. There have been a lot of pedagogical books written, but not by singers. I’ve had a respected career, but most singers either don’t know how to write or they have great reservation about doing so. It took a lot out of me to verbalize the sensory aspects of singing. It’s very, very hard because we do perform by feel. So how do you verbalize that? BD: Doesn’t every person feel the same things a little differently? AV: Yes, but how can you feel? I can’t feel your pain! You can tell me about it, but as far as the voice is concerned, it is that core that I’ve observed from all great singers, as well as what has given me longevity was what my teacher instilled in me. Elda Ercole, who had a great career in her own part, said to use a strong ‘AW, AW, AW’ that opens, not ‘AH, AH, AH’. When you say ‘AH’, immediately you feel it retreating back into the larynx. Developing a strong forward image is crucial because the mental aspect of projection is crucial. I was taught that whenever I go into a particular concert hall or opera house, I would pick certain points, and in my mind I would always reach for those points with my voice. BD: Was it always in the back of the hall? AV: Yes, at the back of the hall. It’s just creating a path that your voice wants to travel. Even when I’ve sung outdoors on any amplification system, I still have to have this mental image of projection. When you have that mental image as well as your technique then then the voice will carry. Lily Pons had that down very, very well. BD: If you’re singing outdoors, such as at Grant Park, are you trying to project even farther than in a hall? AV: Grants Park is deeper than any opera house I’ve ever been in, but no, you still have to think further away. It’s still the back of the hall, and that will be Lake Shore Drive if you’re referring to Grant Park... unless you’re working the microphone, and that’s a different technique. But you still can’t bawl through your classical voice if you’re in front of a microphone. You have to step back. BD: Are you pleased with the recordings that exist of your voice? AV: I guess so. I had no artistic control over the things that I’ve done with Mr. Levine and Leonard Slatkin, and earlier with Sam Krachmalnick. It’s just that all of them stemmed out of productions that we were doing. You would go into the recording room, and do it. That’s it! And it varied. For example, Leonard always liked a concert hall sound, not a recorded sound. You can hear that over-amplification, or that studio or battened sound. It’s very imposing, and I guess that kind of sound has made it difficult for most artists now, because people go to the concert hall and they’re expecting the recorded sound. No way, no way! But I remember when we did these two pieces, the Lieutenant Kijé and the Spring Cantata, I stood right in the middle of the orchestra! BD: [Very surprised] You weren’t in front of it??? AV: No, I was not right in front of the orchestra. In the performances, yes naturally, but during the recording I was up on a higher level. They said not to worry about it because they were recording on 20 channels or what have you, but I was holding hands with the violas, or in front of them or whatever. Let me ask you, do you prefer the recorded studio sound or the concert hall sound? BD: They’re completely different sounds and I accept each one as being different. I never confuse the two. AV: But have you ever heard a piece by an artist when using one method as opposed to the other, and hear the difference? BD: Oh yes. More important, though, there are a number of artists that make wonderful records and sound terrible in the concert hall, and there are a few artists who sound wonderful live, and their records are just horrible. It’s too bad, because I know that the sound that I am listening to on the record bears no resemblance to what I hear in the hall. AV: That was the old thing about Birgit Nilsson. The engineers could never totally record that voice, that steely penetrating sound. BD: The broadcasts of performances pick it up closer-to-real, but it’s still not exact. I heard her enough times in the theater to know this, and even Vickers told me this in the interview I did with him. Let us return to the subject of your book. AV: Thank you, yes. It took me six months to write it, and I really worked from morning to dusk. I got very passionate about it. BD: When you were writing it and you were talking about a specific vocal problem or a vocal idea, did you vocalize and feel it? AV: Yes, I would do that. There is a variety of chapters — posture, balancing, projecting the voice, and I talk about health situations and the singer’s responsibility for interpretation. I have some basic exercises, but again it’ll be in conjunction with a teacher. I sent my working draft to a colleague you’re very well familiar with, Joan Sutherland. Of all the great super-stars I’ve worked with, she is perhaps the most unaffected by her position in the artistic world. So I sent it to her, and I didn’t expect a reply for a couple of months, knowing her schedule. Then I received the draft back with five pages of notes, handwritten and more or less praising commentary. I was very flattered. She made very few additional suggestions, and she said she would endorse the book! Lo and behold, I’m typing a letter responding and thanking her, when the phone rings. She called me from Switzerland, where she lives, to find out if I got the book back. We enjoyed some social chatter, and I said, “Joan, the world is waiting for you to write a book!” She replied, “Oh my dear, no. You have written it already! I’m working on my memoirs, but a voice book, oh God no. You are very explicit, perfect.” With great modesty I asked if she write the forward to it, and she said she would be delighted. Three or four days later she faxed the forward to me, and I am indebted to her. It took a lot out of me to do it, so to have Joan embrace it as well as some others who have endorsed it, like Stanisław Skrowaczewski, Frank Corsaro, and Chet Ludgin is wonderful. Sam Ramey said he would write one, so it’s going to have a nice list of endorsees. AV: I did speak to one major publisher who said it had major value, but they were no longer in pedagogical type of books. I also talk about the audition process. BD: Should the general public also look at this book? AV: Why not! There is enough interest in the book to jump over the technical aspects of it because you can never learn how to sing by way of a book. No way. It has to be a hands-on operation. BD: But my question is a little deeper than that. Should the public be aware of all of the technical problems that a singer goes through, or should they just come and enjoy the performance or not depending on the artistry of the singers? BD: Well let me ask a serious question. Is going to the opera soul surgery? AV: I would have to dwell on that for a while. If I’m going to go to Salome, it’s not going to do anything for my soul! That’s a hard question. BD: Let me change it a little bit. When you go to the opera, is it art or is it entertainment? AV: It’s entertainment for the public, but it’s art for the performer. As simple as that! BD: The public varies from night to night. AV: But also artists perceive differently by way of the size of the house too. This is true! We are trying to make the art form more personal by making more intimate halls and even putting seats on the stage. They get the closest view, but when you’re way back the opera is still a fantasy world. It’s so distant, so removed from everyone’s life that it has to be entertainment. I would like to mention that I’ve been in the business for forty-three years. BD: You have been singing all over the world for such a long time. Give me some of the details, some statistics about Arnold Voketaitis! AV: It was May 23, 1954 that I made my so-called professional debut as the Bonze in Butterfly in the Connecticut Experimental Opera Theatre. My major operatic debut came after being Classical Soloist with the Army Band in Washington for two years, 1954 through 1956. Then I won an Arthur Godfrey Talent Scouts award. Godfrey was the Johnny Carson of his day on radio and television. I won his talent contest, and an agent saw me, heard me, and arranged for an audition in the New York City Opera. I made my debut in 1958 in the Die Schweigsame Frau, The Silent Woman. I was Vanuzzi, an opera singer! AV: Yes. But in 1958 I thought opera or classical music would just be a lark, so I got my degree in Business Administration and majored in advertising. BD: You got permanently side-tracked! AV: That’s it. That’s what happens. Jerry Hines was a chemist, and Jess Thomas was in psychology and was a high school guidance counselor. So we get side-tracked, and of course I was a trumpeter player for twelve years, playing in dance bands in college and what have you. That’s why I never had trouble with diaphragmatic breathing. BD: Just like Menotti wrote the opera for Judith Blegen with a violin part, someone should write an opera for you with the trumpet part. AV: Oh yeah, [laughs] and try to sing! But it has been interesting. It’s carried me all over the world. I have met a lot of great people, and a number that I want to forget about, but more it’s the bond that most artists have. It’s unfortunate that the business has changed now. It lacks, at least in some of the houses I’ve been, a certain camaraderie, a concern for one another. I sang with the New York City Opera for ten or twelve years, and everyone was concerned to help one another. We would be under pressure. We would do nine, ten, even up to twelve-hours a day in rehearsals. We would do a dress rehearsal in the morning and open that night! BD: That wouldn’t hurt the throat? AV: Of course! You’re young, but then I got involved in the Union situation, the American Guild of Musical Artists, and now they can’t work you more than six hours, and there are more breaks to rest the voice. After you’re dismissed, you can’t be called for at least twelve hours the next day, so there’re always protecting the voice. As for the joys, one of the great experiences of my life was to do the role of Don Quichotte in Mexico. I was forced to read Cervantes and to know the dimensions of this individual, this persona con triste figura, and learn how to incorporate all the emotions that we, as human beings, have — from joy to exhilaration to death to sadness. All of those are encompassed within the role. Our production down in Mexico, which was done for television as well, followed the Cervantes text pretty closely. BD: Is being an opera singer very Quixotic? AV: Oh, we’re all dreamers, absolutely, and those who are not are probably more successful! [Both laugh] Because they don‘t have a dream, they face reality. It’s always tomorrow for us. Tomorrow will be a better day, especially in the beginning of your career. When I debuted with the New York City Opera in 1958, I was twenty-eight years old. BD: How long did you sing with Lyric? AV: I debuted at Lyric in 1966. I had been with the Metropolitan national company, and Carol Fox saw me do Magnifico here in Cenerentola, and then offered me a contract the next year. So I’ve done fourteen seasons since that time. I’m still going pretty strong. Age has a tendency to whittle away at stamina, but as far as singing the highs and the lows, they’re still there. BD: Is that easier for a low singer than a high singer? AV: I don’t know. I’m 67 now, and I feel my top voice is better than ever. The low voice is not like it used to be. Maybe it’s just that I have to work harder at it, but in my particular case, being a bass-baritone, I seem to go more toward the higher range. BD: What exactly is the bass-baritone fach? AV: The roles define what a bass-baritone is. Bass-baritones that I’ve known have given different interpretations of it. A bass-baritone is a one who can sing higher than a bass but lower than a baritone. That’s for the range. For others it’s the quality of voice. There is a difference in a sound. There’s the chante-bass or basso cantante, which are very, very lyric. The perfect examples for me are two prestigious names in the world of opera now are Sam Ramey and James Morris. Morris is the real bass-baritone, and Ramey has a more chante, a more singing, lyrical voice. This is not to say that Morris doesn’t have a singing voice in pure quality and timbre, but Sam is the chante and Morris is the bass-baritone. BD: How should you decide what roles you’re going to sing and what roles you’re going to let go? AV: Very, very wise question. It’s a matter of feel and energy. BD: Is it possible to know whether a role’s right until you get on the stage and are performing it? AV: You have got to remember that what you sing in the studio’s got to be done the same way on the stage. Singing a role is attitude. For example, we mentioned about Don Quichotte. I have always been an eternal optimist. I’ve always been the dreamer. I’ve always wanted to do it. That’s the perfect role for me. However, it would be difficult to do a role now that I love and still feel the passion for, and that’s Figaro in the Mozart opera. I know I still can sing all the arias, but I’m going to be 67, so bouncing around doing all the business and getting married? I can still do it but nowadays they don’t accept it. I remember seeing Pinza doing Figaro at 58. Could we as present-day audience accept a 58 year old being a young lover about to get married? AV: No! Times have changed so you let go of Figaro. There’s a role that I would love to do now — Don Giovanni, but in a different concept. His catalogue almost rivals that of Wilt Chamberlain’s book of 20,000 conquests! I been in academia in recent years as an artist-in-residence for voice and opera, and having directed fourteen operas, I always thought that it would be very novel to do Don Giovanni where he’s an aged person, tired, especially in the beginning when he’s trying to escape. As though he’s being driven by this urge to conquer every female that traverses the earth, the whole idea would be to show that he’s tired. He’s aged but he still has a magnetism about him. BD: Do you want him to come on stage with the attitude, “Oh, my God, not another woman!”? AV: That’s it, that’s it! Oh, another one when suddenly he sees the Maid at Elvira’s house. Something is driving him... but I realize that will never be, so you put that role aside. BD: Do you ever wish you were a tenor so that you could get the woman more often? AV: No, no. The Lord has given me whatever gift I have, and I’m very happy with it. BD: Does the temperament of the person go along with the range of the voice? AV: Oh yes. I think the range goes along with the person. If one is greater dreamer or has a greater sense of imagination, they will be the better performer. Without imagination, you can’t be an artist. I tell my students that what I want out of them is to develop this sense of imagination. Be like a cat playing with an imaginary ball. Open up your mind and don’t be afraid to fall on your face especially on the stage. A director can always pull you back, but it’s very hard for him to pull you forward. So that’s the life of an artist. BD: I wish lots of continued success. AV: Thank you, Bruce. You’re a joy to be with. 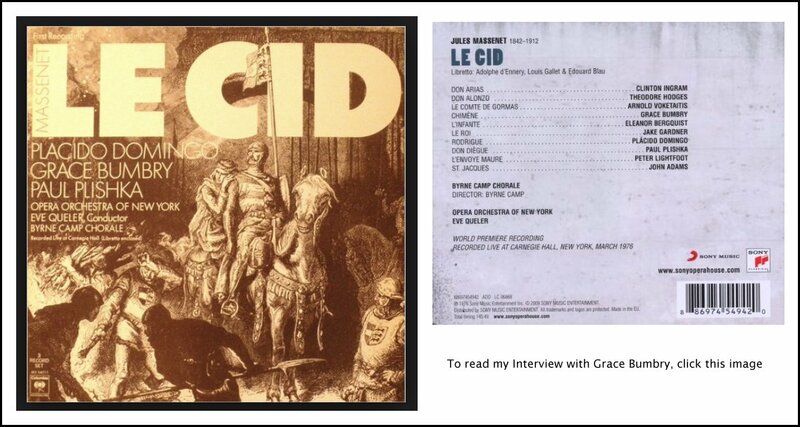 These conversations were recorded in Chicago on February 17, 1986 and May 5, 1997. Portions were broadcast on WNIB in 1986, 1993 and 2000. This transcription was made in 2014, and posted on this website at the beginning of 2015. My thanks to British soprano Una Barry for her help in preparing this website presentation.